Celebrities from Bollywood attended the Swarovski Gemstones National Jewellery Awards 2015-16 in Mumbai on February 6, 2016. The attendees of the event included Ameesha Patel, Bharat Takhtani, Shriya Saran, Esha Deol, Daisy Shah and others. 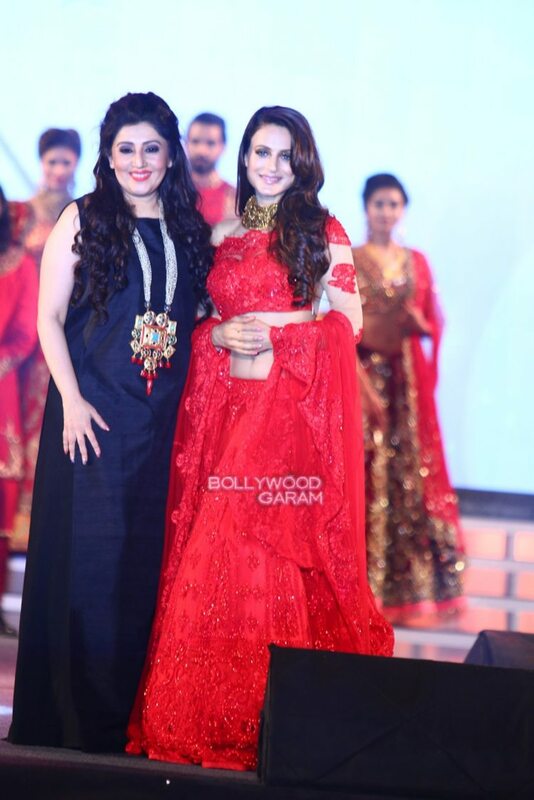 Actresses Ameesha, Daisy and Shriya were seen walking the ramp for designer Archana Kochar. 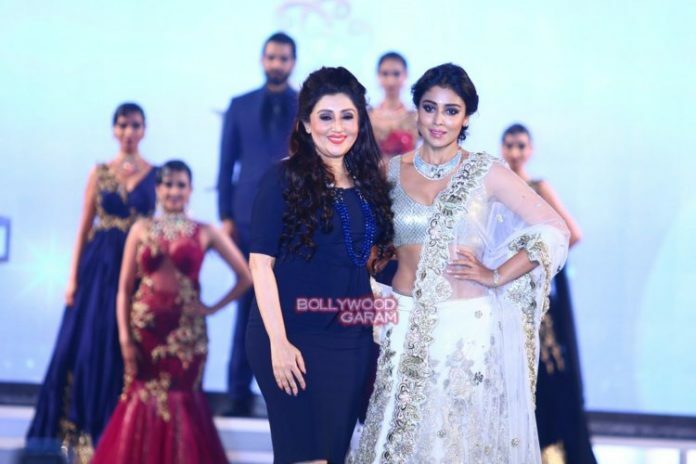 Ameesha looked pretty in a red lehenga while Shriya looked fabulous in a silver lehenga.